Planning an event? 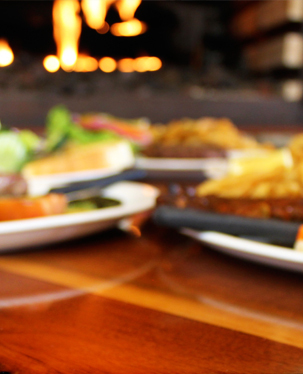 Look no further than The Lumberjack Restaurant. We cater to homes, businesses and private venues for parties of 15 or more. Make your event carefree. We deliver your meal hot and fresh complete with serving utensils, dishes, silverware and condiments. When your event is finished, we return to pick everything up. No dishes for you. We have been serving Windsor/Essex county for over 30 years. We have successfully catered numerous events from 15 to 300 people; including wedding dinners and midnight buffets, family Christmas dinners, breakfast buffets and business meetings. We offer plated, platter or buffet style complete with optional onsite serving staff. For less formal events – we offer fruit, vegetable, sandwich and dessert trays. Contact The Lumberjack Restaurant today and let us help plan your event. Let us take care of the food, so you can take care of your guests.